Trucking has special needs, and this first aid kit is in for the long haul. A Trucker's best friend when in a tight situation. 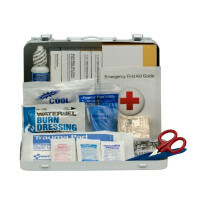 A compact yet sturdy 88 Piece Truckers First Aid Kit that has everything a trucker needs in an emergency situation. Designed to meet and exceed both DOT & OSHA requirements, you will find gauze, bandages, CPR Faceshield, and many other critical first aid items contained in these very portable and helpful First Aid Kits. 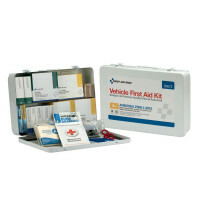 Trucker First Aid Kits - You don't think you need a First Aid Kit....until you do!